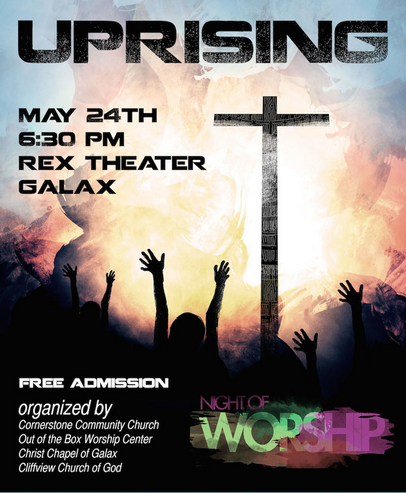 Uprising – A Night of Worship is this Saturday night, May 24th at 6:30pm. OOTBWC , Cornerstone Community Church, Christ Chapel, and Cliffview Church of God are partnering together to bring you the second annual “Uprising” Night of worship. Alex Nsengimana has agreed to come speak at OOTBWC on behalf of Operation Christmas Child on Sunday 6/29.“Nsengimana” means “I pray to God” in Kinyarwanda, and Alex has certainly lived up to the name. In his 25 years, God has guided his steps along a remarkable journey that included miraculous escapes from death during the genocide. It also includes receiving a shoebox gift through Operation Christmas Child—a gift that helped bring him to a strong faith in Jesus and led to the desire to return to Rwanda to plant a church and minister to the people who killed his family. You can learn more about Alex Here. Nicaragua Mission Trip – There is a mission trip to Nicaragua planned for this Summer and this group of missionaries needs our love, prayers and financial support. 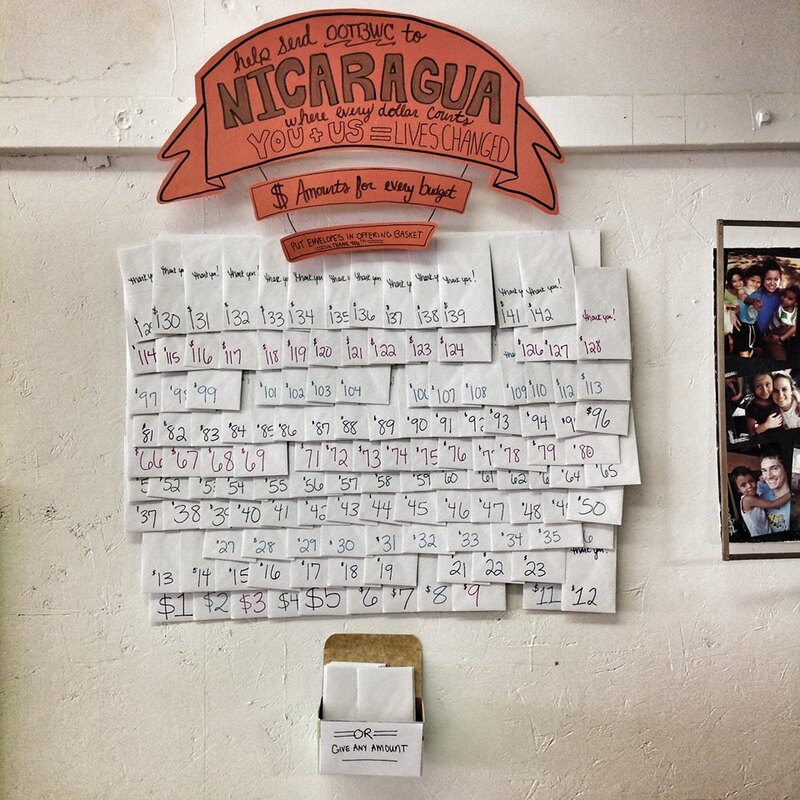 You can give to this Mission Trip by earmarking your check to “Nica Mission Trip”. There are special envelopes in the lobby on the wall on the left before you get to the Crib Nursery. Contact Laura Edmonds at laura.h.edmonds@gmail.com for more information. Recovery at Hillsville – This is a new ministry that is in the development process. If you are interested in serving on the Launch Team for this ministry or have any questions, please contact Pastor Ronnie at ronnie24317@yahoo.com. Bible 101 – A Bible study for the rest of us. The group is meeting on Sunday mornings at 10am in the Youth Center on Main St Hillsville. Prayer Group – Meets each Friday evening at 5:30pm at OOTBWC to pray over the prayer requests that are turned in on Sunday morning and any other prayer needs that the group is aware of. If you are a Prayer Warrior and would like to get together with others each week and pray, then contact Misty Collins at misty24317@yahoo.com. Prayer Walk – join Brenda Harmon and others from our church and community as they walk through Hillsville and pray for our church, for our nation, for the lost, and many other prayer concerns. The group will be walking and praying on June 21st from 10am to 11am. Ladies Night Out – Come join us to see the movie “Mom’s Night Out” on Friday, May 30. We will meet at the church at 6:45pm & take church van down to Creekside Cinema in Mt.Airy. There will be a sign-up sheet in the Lobby at OOTBWC if you are interested in going. Tickets are $7.50 and you will pay at the Theater. Back to School Bazzar – July 12th from 1 – 4 pm at OOTBWC. Donations of school supplies, hygiene items, kids shoes and clothing is needed. Bring in your donations to OOTBWC and leave them in the lobby. List of items needed here. Wednesday Night Bible Study with Pastor Ronnie – 6:15pm at OOTBWC. Bring your bible and join in the discussion. Youth: Meet at OOTBYC on Main Street – Center opens at 5:30pm and bible study starts at 6pm. Follow our youth on Twitter @OOTBYouth. CCMA Food Pantry operates every Monday and Thursday from 10 am until noon and volunteers are needed to take information, serve coffee to FP recipients, help carry boxes, and pray. The Food Pantry is in need of monetary and food donations. If you need more info, please call the FUMC Hillsville Church Office at 728-2434 or contact Pastor Pam Sutherland at pamsuth57@gmail.com. Crafters for Christ – is a group that meets regularly at OOTBWC and makes special gifts, cards and service projects for others. If you like doing crafts, knitting, crocheting or sewing and want to get together with this group, contact Cindy Brown at browniebitesofwoodlawn@gmail.com or Bonny Webb at bdwebb@ccpsd.k12.va.us. The next “Crafters” meeting is 5/31 at 10am to Noon at the Youth Center. They will be working on our Father’s Day handouts and will need to prepare 55 so all hands are needed. No small children should attend because they have sharp tools to work with. SOHO Missions/Outreach Team Meeting will be held the first Tuesday of each month at 6:15pm at OOTBWC. Next meeting is 6/3. Questions? Contact Brenda Harmon at brendag274@gmail.com. Camp Dickenson – is a summer camp for kids and is part of the Holston Conference of UMC. Camp Dickenson is staffed by many OOTBWC young adults, so your kids will see a familiar face during their summer adventures. View more info and register here. If you are a member at OOTBWC, you will receive a $100 discount off of the brochure prices. Camp Dickenson has a Wish List for items they need for the camp. View the list here. Camp Dickenson also needs your support in sending a Camper to Celebration Camp. This is a special week that is set aside for developmentally disabled persons to attend camp at Camp Dickenson this summer. The cost is $290 per camper. Make checks payable to Camp Dickenson re: Celebration Camp and mail to P O Box 232, Fries, VA 24330. Questions? Call 279-744-7241 or visit the website here. Relay for Life needs volunteers to help with fund raising for the American Cancer Society. Please contact Cindy Brown at browniebitesofwoodlawn@gmail.com or 276-733-6228 to get involved and be a part of the Relay for Life Team.